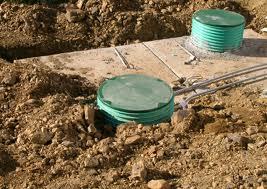 A conventional septic system works by allowing wastewater to separate in a septic tank and begin the process of decomposition. Naturally occurring bacteria breaks down the solids inside the tank converting those to gas and liquid. Once liquid levels reach the level of the outflow pipe. That liquid enters the drain field plumbing from the tank and is then distributed into the drain field, through plumbing throughout the drain field. The Conventional Septic System Repair process involves checking sludge levels and first and foremost for clogs in the sewer line from the house to the tank. 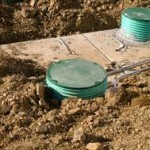 The most common issue Big Bexar Septic comes across is a clogged sewer line. Knowing where your cleanouts are is a start. If only your kitchen sink is having a draining issue than most likely the problem is the line from your kitchen sink to your sewer line. If your conventional septic system is giving you problems despite constant pumping and having all plumbing to the tank checked out, you likely have an outflow issue in your drain field. Consider the volume of use for your system. If you recently had your relatives visiting for the last couple of weeks, your leaching system may be beyond capacity.